Laourell Falls. IMAGE: Micheal Drewry. Last year's Eagle Creek Fire forever changed the way we will experience the Columbia Gorge, and definitely how we hike it. The damaged areas have been separated into three sections based on severity of the burn, and the amount of damage to each section equates directly to the estimated timeline for trails to reopen. The first section, expected to come back online sometime around the beginning of summer, is from Cascade Locks out to the east. Next, trails from Multnomah Falls heading west are due to open by the end of 2018. And unfortunately, there is no timeline yet for most of the trails near the epicenter of the blaze between Multnomah Falls and Cascade Locks. But the mosaic pattern of the burn left some favorite trails relatively—or altogether—unscathed. And if you've reached the "acceptance and hope" stage in your grieving process, you can already revisit some old favorites you know and love, or garner an appreciation for some areas in the Gorge that you might have previously overlooked or taken for granted. Here's a rundown of some of the best hikes you can take right now on the Oregon side of the Gorge. Even though the trail was closed briefly, it was off-limits only until the segment of the Historic Highway that gets you there was free of debris. The 2.4-mile loop that visits two cascades was completely spared by the blaze. And thank the powers that be for small favors, because the 224-foot Latourell Falls is one of the most photogenic in the state, and one of the true headliners along Waterfall Alley. The perfect single plunge is punctuated by an electric patch of yellow lichen near the top, and an exposed wall of columnar basalt that escorts the cascade on the bottom half of its journey to the splash pool. 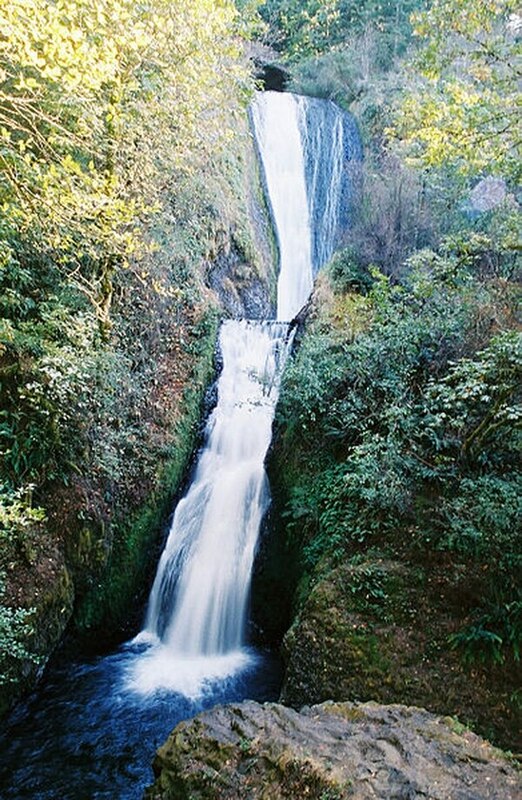 Above the falls, the trail traces a scenic Latourell Creek to another impressive, twisting 120-foot upper falls. Directions: From Portland, take I-84 east to Bridal Veil exit 28. Turn right on the Historic Columbia River Highway and travel 2.8 miles to the Latourell parking area on the left. Also left completely intact, Bridal Veil Falls is an easy—if occasionally steep—1.4-mile out-and-back hike. The family-friendly state park also boasts real restrooms, picnic benches and an accessible, interpretive loop that affords some undemanding but no less majestic river views. The falls itself is a stunner—tucked into a mossy, fern-laden grotto, two distinct drops combine to form the 118-foot, thundering Bridal Veil Falls. A viewing platform provides the best look at the falls as well as a view of the underside of the Historic Highway as it crosses over Bridal Veil Creek. For those entertained by backroads curiosities, the Bridal Veil Post Office, right around the corner, is one of the smallest free-standing post offices in the U.S. Directions: From Portland, take I-84 east to Bridal Veil exit 28. Follow the access road for half a mile to the Historic Columbia River Highway. Turn right and proceed 1 mile to the Bridal Veil Falls State Park on the right. There's a lot of really good stuff on the other side of the Cascade Mountains. It does require a bigger time commitment to get out there and back, but the beauty and diversity found through the transition zone and into the drier side of the Gorge is ample compensation for your effort—a prime example being the Mosier Plateau Hike. The relatively unknown 3.5-mile out-and-back exploration skirts a pioneer cemetery, passes by the 100-foot Mosier Creek Falls, and tours a wide-open wildflower meadow with outstanding views across the river to Coyote Wall. Directions: From Portland, take I-84 east to exit 69 in Mosier. Turn right and drive less than half a mile to the Mosier Totem Plaza. Turn left just after the plaza on a gravel road to the parking area. The trail begins on the other side of the Mosier Creek Bridge, behind a bench. 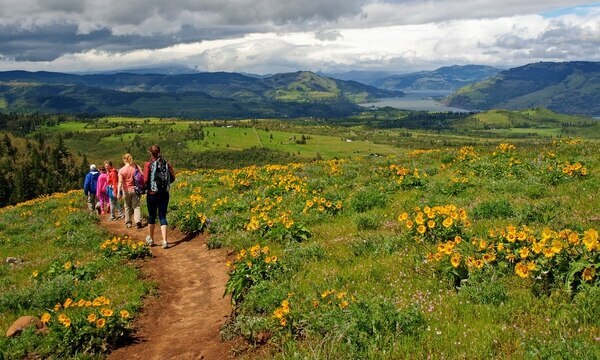 The Tom McCall Preserve is one of the most well-known destinations on the eastern side of the Gorge, thanks in large part to the explosion of wildflowers it hosts every spring. And sure, it's hard to argue against the early hiking season color display being the best time to go. But summer is less prone to throngs of hikers and moody skies. As such, the views from the top of McCall Point deliver Mount Hood, Mount Adams and a faceful of Gorge off to the west. Plus, the 3.5-mile, newly rerouted hike to the top gains a decent amount of elevation, over 1,000 feet, if you're looking for some exercise. Directions: From Portland, take I-84 east to exit 69 in Mosier. Turn right at the freeway and follow the Historic Columbia River Highway through Mosier. Continue east on the old highway for just under 7 miles to the Tom McCall Preserve parking area. It's not a traditional hiking path. 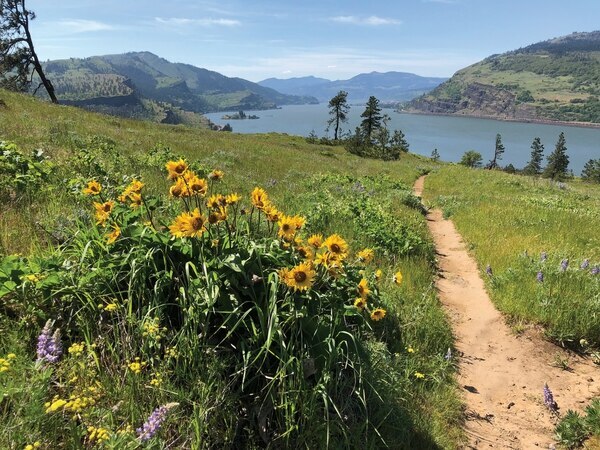 In fact, the paved 4.5-mile trail is a segment of restored Historic Columbia River Highway that extends from the Mark O. Hatfield Trailhead in Hood River to the East Trailhead in Mosier. And you are as likely to encounter cyclists as you are folks on foot. But a pair of very untraditional elements are the primary reason for visiting. After about 4 miles, the trail enters the Mosier Twin Tunnels. 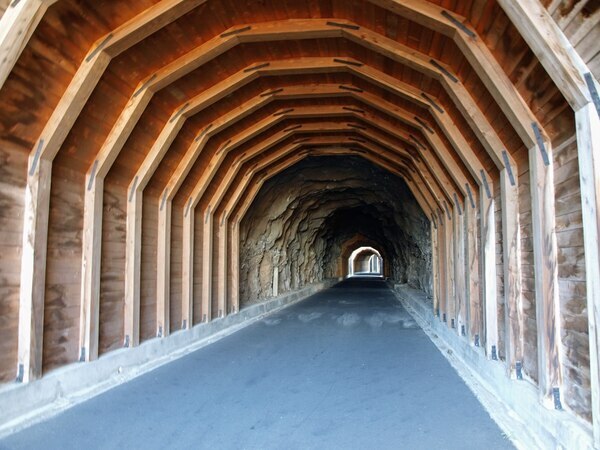 The restored tunnels were part of the original construction of the "King of Roads" back in 1919. The light provided by the windows carved out of the volcanic basalt produces an eerie ambience that almost begs for some sort of Instagram treatment. If you're not into a 9-mile out-and-back stroll, start at the East Trailhead for almost immediate tunnel access. Directions: From Portland, take I-84 east to exit 64 in Hood River. Turn right at the light and then left at a stop sign onto Old Columbia River Drive. Continue 1.2 miles to the trailhead parking area. 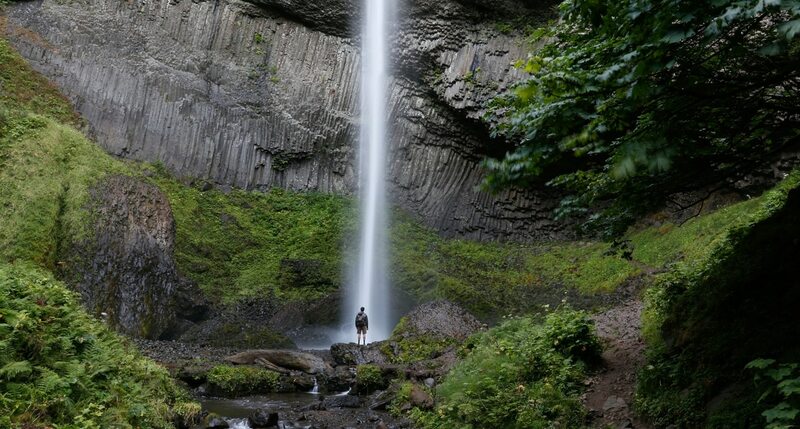 In addition to the towering 227-foot Starvation Creek Falls, a section of trail that accesses three additional cascades just reopened in mid-May. You can now visit Lancaster, Hole-in-the-Wall and Cabin Creek Falls. If you're a fan of Gorge history, follow the dry creek bed just east of Hole-in-the-Wall Falls around the corner to a now dry Warren Falls. When the Historic Highway opened, Warren Falls was interfering with the new King of Roads. So in 1939, the highway department constructed a massive metal weir and tunnel system to divert water from the top of what was once Warren Falls through a massive basalt cliff to where it now spits out as Hole-in-the-Wall Falls. Or if you're up to it, you can test your mettle with the relentless elevation gain of the 11.6-mile loop hike up to Mount Defiance and down Starvation Ridge. Bear in mind that some trails accessed via this hike may still be closed. Directions: From Portland, take I-84 east to exit 55, which quickly dead-ends at the parking area and trailhead. Contrary to its name, Dry Creek Falls flows steadily all year long. From the Bridge of the Gods Trailhead in Cascade Locks, a 4.2-mile out-and-back hike traces the Pacific Crest Trail to a lightly visited 75-foot waterfall. Expected opening: Summerish. So many classic Gorge hikes take off from the Herman Creek Trailhead. Which trails open when and to what extent is unknown. But the area will start opening up around the beginning of summer. Expected opening: Summerish. Just west of Multnomah Falls, the spring-fed Wahkeena Falls along with the classic 5-mile loop that ties them together will hopefully be accessible before the year is out. Expected opening: By the end of the year. Ironically, a previous wildfire gave hikers the panoramic views enjoyed at the top of Angel's Rest. Trailkeepers of Oregon is currently working feverishly to reopen the favorite 2.8-mile out-and-back hike by the close of 2018. Expected opening: By the end of the year. Adam Sawyer is an outdoor and travel writer, photographer and guide based out of Portland. 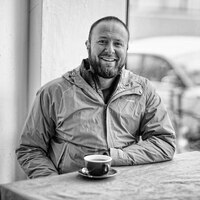 He's written for Travel Oregon, Eater, Northwest Travel & Life and Portland Monthly, among many other publication. He is the author of several guidebooks, including the forthcoming Unique Eats & Eateries: Portland.